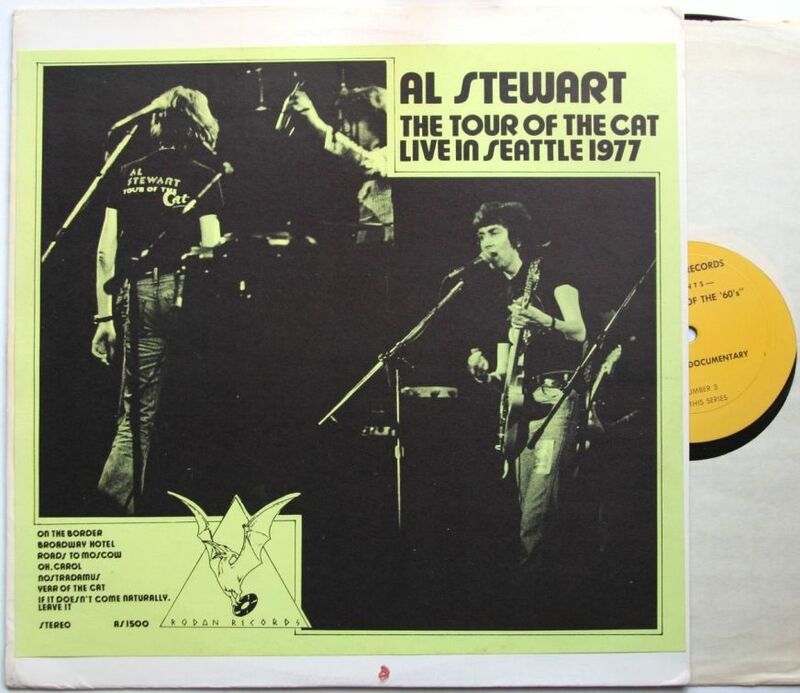 Al Stewart touring behind his breakthrough album Year Of The Cat. I can still remember how huge it was as 1976 – that hot European summer! – crept along. Radio broadcast source, possibly recorded at the Paramount Theater. I believe the year might actually be 1976. Also with blank and Ruthless Rhymes labels. Hot Wacks lists this as being on Rodan Records with the same matrix number. and that the Rodan version is a subsequent release. My color insert is yellow and red with 1 LP having a b/w label, and the other a yellow and black label. The Rodan version had a fold-over insert that listed song titles on the back. 5. “A Sackful of Trousersnakes” April 1977 Anaheim Convention Center, LA. This is by far the most off the hook recording of the Songs From the Wood tour. It was a beautifully crafted set of songs they ever did, starting off with 4 or 5 acoustic songs and the intensity just kept rising to another fantastic head splitting encore. 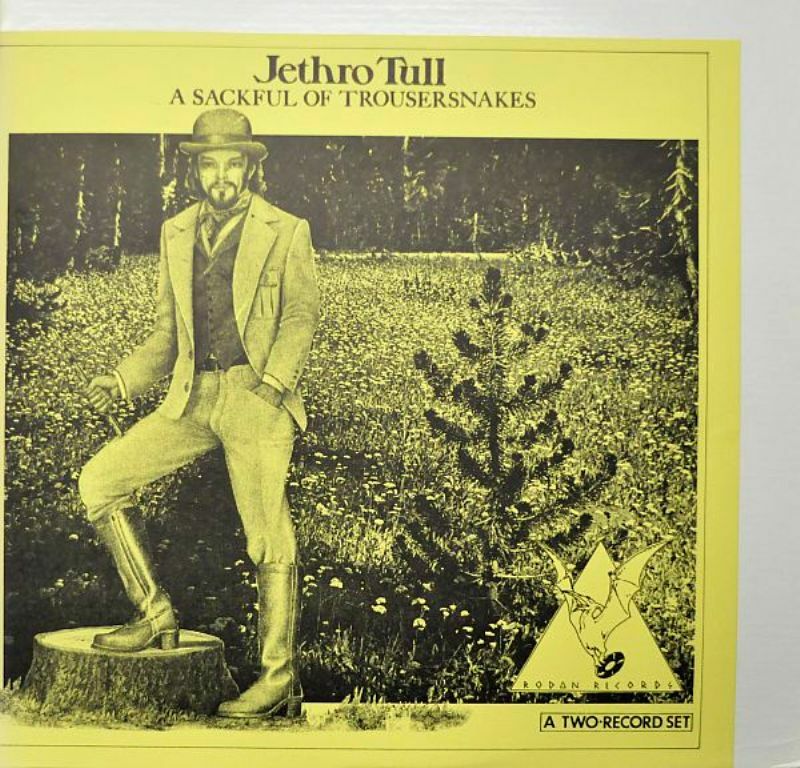 This was BIG Tull at it’s most refined.They didn’t get much better. As a matter of fact, because of this boot, Bursting Out was a disappointment! Darin, could not agree more with you about Sackful. 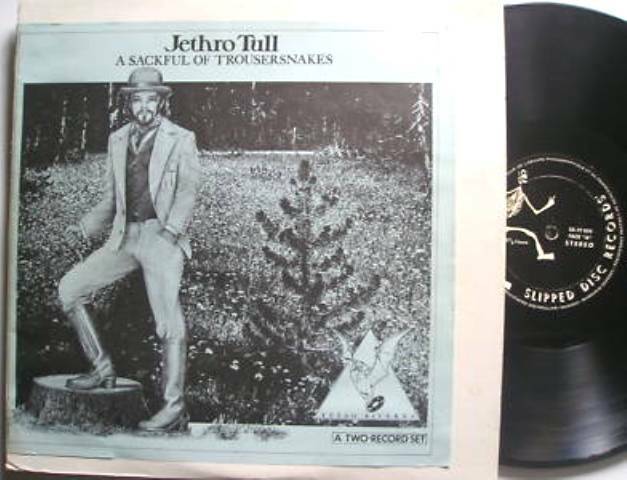 This was my very first Tull bootleg, which I purchased in a used record store on vinyl in the late 70’s. This has great Ian banter/jokes, and the audience is totally into the band! One of the “chill bumps” moments for me on this particular tour, has always been when Ian plays Thick as a Brick, and he gets to the flute part, which is the first time he’s played the flute during this show. The crowd goes nuts!! Martin’s solo is fantastic! I used to work third shift, and could bring in cassette tapes to play over the store’s loud speakers. One night I brought in Sackful. I started it with Martin’s solo, and someone asked me if it was Hendrix! True story. 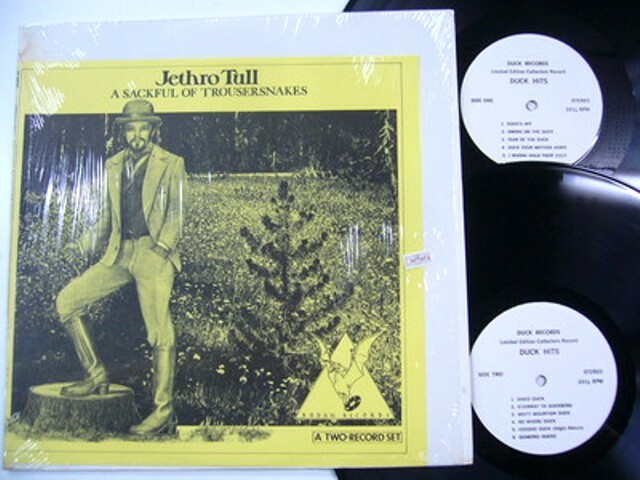 TAKRL says: “This album was never issued. It was conceived of during the hectic final days and the art work and tapes were basically ignored until it was too late to retrace our steps. It was recorded at the Great American Music Hall in San Francisco. 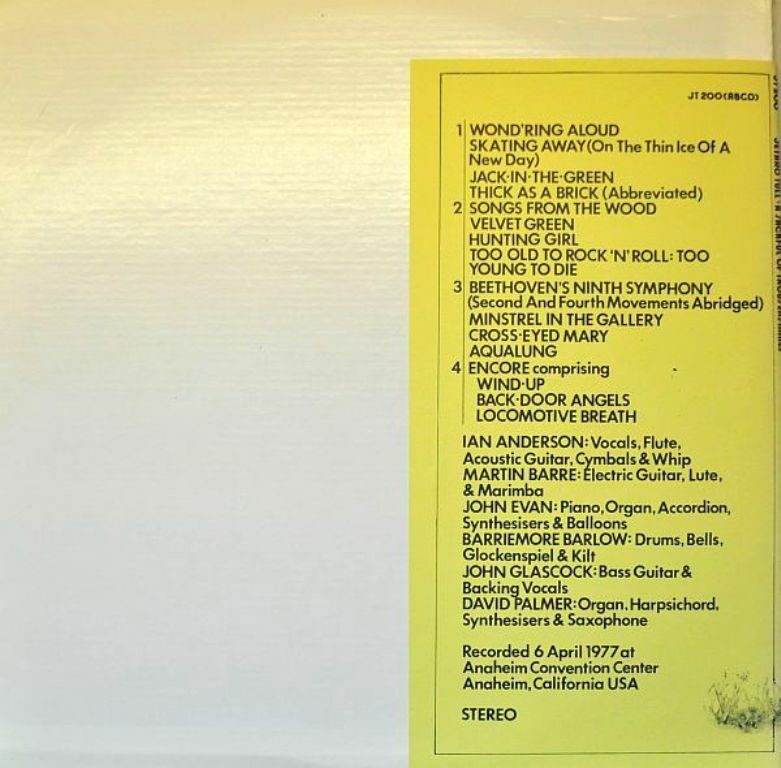 Side one contained Apple Cider Re-constitution / The Dark and Rolling Sea / One Stage Before / Soho (Needless to Say) / On the Border / Carol.